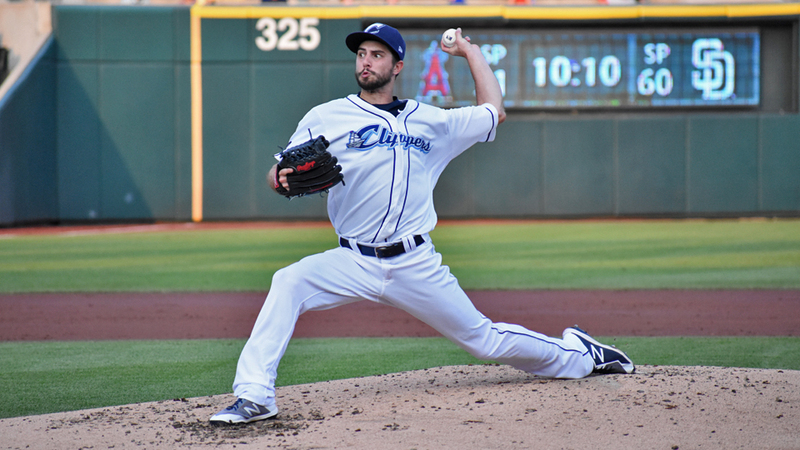 The Columbus Clippers fell, 5-3, to the Syracuse Chiefs today at Huntington Park, finishing the series at an even two games apiece. Ryan Merritt was excellent on the hill for Columbus, tossing seven scoreless innings of work. He received enough offense to have some breathing room, and took advantage, scattering six hits without a walk. He also struck out five Chiefs. The bullpen couldn't close the door, though, allowing Syracuse back into the game in the eighth for the eventual win in the tenth. The Clippers got things done in the bottom of the fifth when Oscar Mercado drilled an RBI double down the left field line to take a 1-0 lead. He advanced on the throw home, putting himself on third for Brandon Barnes. Barnes then grounded to second, scoring Mercado for a 2-0 advantage. Josh Martin took over for Merritt in the eighth and handed the ball to Tyler Olson after registering one out. Olson ran into a bit of a jam with two men on, and Jose Marmolejos made him pay with a two-out RBI single to cut the Clippers' lead in half at 2-1. Ben Taylor then entered for Columbus and gave up an RBI single to Moises Sierra after it ricocheted off Yu Chang's glove at short. That tied things at 2-2. The teams went to extra innings, and the Chiefs loaded the bases for Marmolejos in the top of the tenth. He delivered, driving a bases-clearing double to the wall in right for a 5-2 lead. Barnes singled in a run in the bottom of the inning, but that would be it for the Clippers, as they fell 5-3. The Clippers will have tomorrow off before heading to Indianapolis Tuesday for a three-game series with the Indians. First pitch is set for 7:05 p.m.